Tomorrow's Friday the 13th, and that's a big day for Accursed. We just love the idea of ill-luck that goes with it and we want to celebrate it. Today's also Origins Game Fair in Columbus. 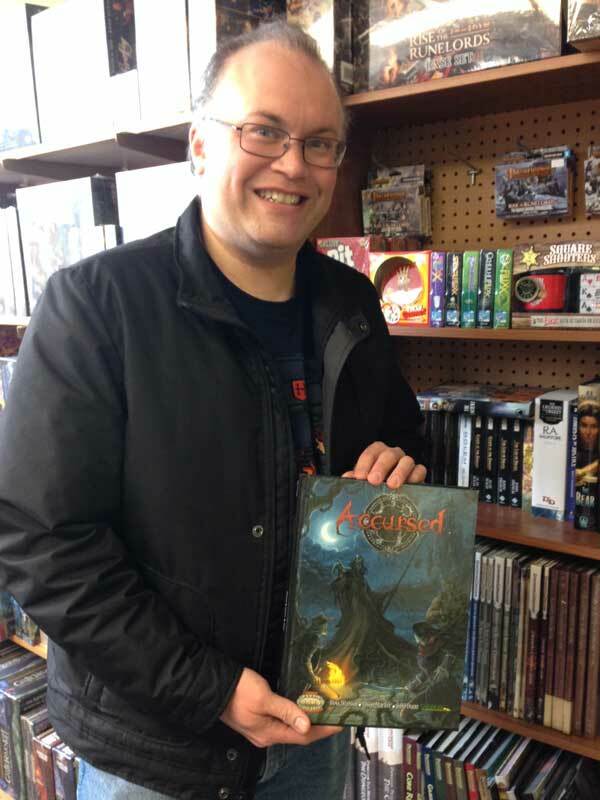 We're excited about that too, even though the creative team won't be there, Studio 2 Publishing has Accursed available in print at their booth. So, we wanted to celebrate that too. We recognize that not everybody can be at the convention, so we wanted to do something that gives people a chance to enjoy our celebration. 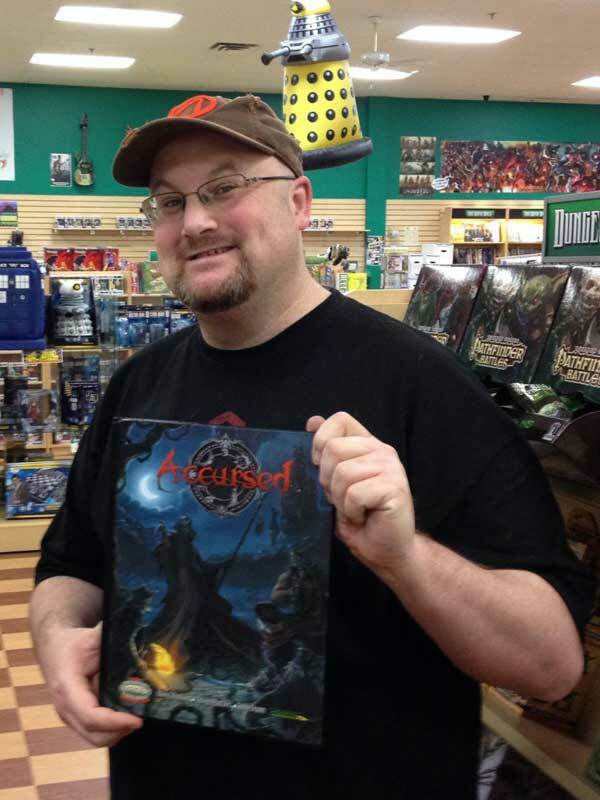 We'd like everybody that can to post a picture of themselves holding an Accursed book to either Facebook or Twitter using the hashtag #AccursedRPG (#SavageWorlds is a great one to add, too). We'll be watching that tag and direct messaging each one we see. We'll ask for an e-mail address and a PDF choice, then we'll send them a coupon good for a free Melior Via PDF. 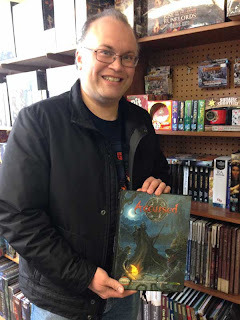 Don't have Accursed in print? Stop by Origins (or your FLGS) and snap a picture holding a copy at the Studio 2 Publishing booth. This deal starts today and goes through tomorrow (Friday, June 13, 2014). We encourage everyone to post as many pictures as they feel like, but we'll only give 1 free PDF per person. Here are pics of Ross and John, modeling Accursed at their FLGS - Immortals, Inc in Cleveland and Dragon's Lair in Austin.